Taina 1-1-25559-21: Buy Tamaris Boots online! With this self-confident Long Boot Flat boot Taina, TAMARIS designed a must-have for every fashion-conscious and strong woman. The impressive black leather, in combination with the lacing on the front , is a real eye-catcher. 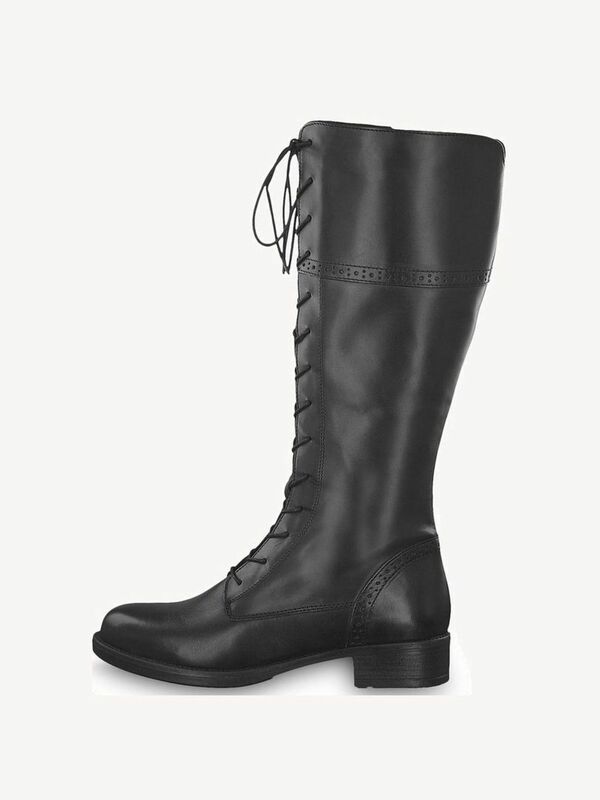 In addition to lacing, these boots have a sturdy zipper. The flat heel of only 25 mm and the rounded toe contribute to the high comfort. The interplay of comfort and confident design creates boots with an own strong character.